Wefiends is an independent game studio run by brothers Kevin and Nick Barrios and composer Steph Fung. We work almost entirely over the internet, with Nick and Steph in North Carolina and Kevin in Los Angeles. We apply ourselves to very distinct roles. Nick does all the programming, and Kevin does all the art and big picture game design. Steph tends to stew privately on bits of inspiration for weeks at a time. She needs little direction to create beautiful tracks of music that compliment our games perfectly. Wefiends started out making Flash games for content portals such as Newgrounds, Armor Games, and Addicting Games. What started out as a hobby, with most games being developed in between classes and on weekends, became a career possibility with the release of the iPhone and the mobile game explosion. 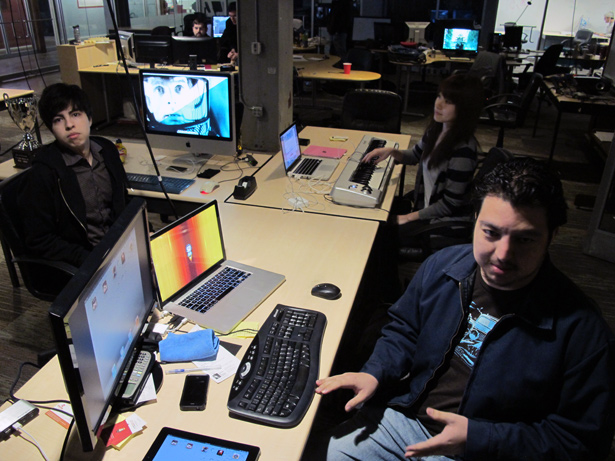 The team started working on Sushi Boy, an iOS title, as soon as the first official sdk dropped. The game had a fairly successful release in October 2010, and cemented the teams desire to make game development a career. In June 2011, the entire wefiends team moved to Durham, North Carolina to join Joystick Labs, a start-up incubator focusing on game studios. While the initial idea that the team brought with them did not pan out, they did release a follow up to Sushi Boy, titled "Sushi Boy Thunder", as a free-to-play game that summer. Officially incorporated as Wefiends, Inc., the team returned to Los Angeles to brainstorm and begin work on a new project. They teamed up with non-profit Rice Bowls to work on a web game, Hunger Crunch, aimed at raising awareness of hunger across the globe. With that project done, work began in earnest on Dandy, a soon to be released shoot 'em up for Windows, Mac, and Linux. There are far more images available for wefiends, but these are the ones we felt would be most useful to you. If you have specific requests, please do contact us! 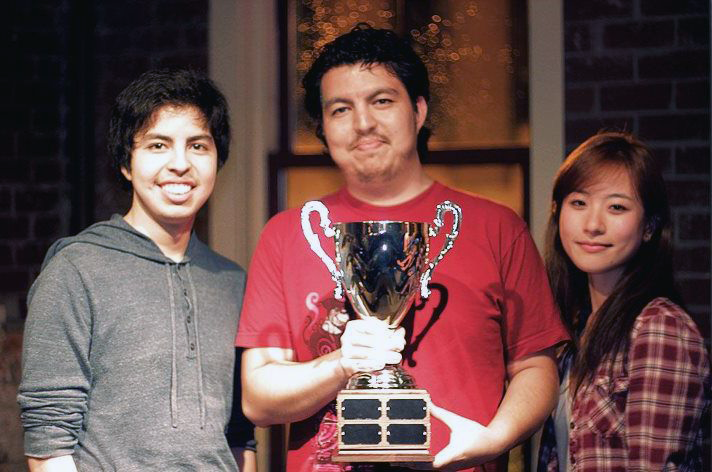 "The team, shy and self-effacing, recently moved from Los Angeles to Durham because of Joystick Lab's support. Their game looked wonderful." "Still, the main draw of Sushi Boy Thunder is its excellent presentation and lovely graphics." "Overall, this arcade game is fun and easy to play. You will spend many hours trying to gobble as much sushi as possible while earning the extra coins you need to upgrade to that bear suit." "Sushi Boy squeezes almost every ounce of fun and energy it can out of something as simple as catching sushi falling from the sky, making it a hard game to put down."